If the forest dies, the world will burn. It has been tens of thousands of years since Cain was banished. Millennia have passed since the people have forgotten their origins. They have raised new idols, forged new gods for themselves, but one can never escape the past. Reslo, an outsider from birth, wants only to protect his mother forest and be home with his family. Instead, he finds himself thrust into disaster and ruin. The Dark Elves and their Ogre allies are rampaging through his forest homeland, spilling blood and sowing chaos on a quest to make the woods their own. 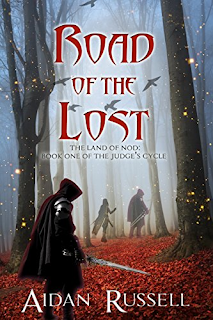 Not only must he contend against these intruders, but he must also keep alive two bungling, novice knights on a quest to find their missing champion and his relic-sword. Should the knights fail to recover what is lost, their armies will march to war.